Calendar constructed to allow: one week mid-term break in Term 1; ten day mid-term break in Term 2 (to include Lunar New Year’s Eve); 3 week break at Christmas; and 2 week break + 1 day break at Easter; year end in June. 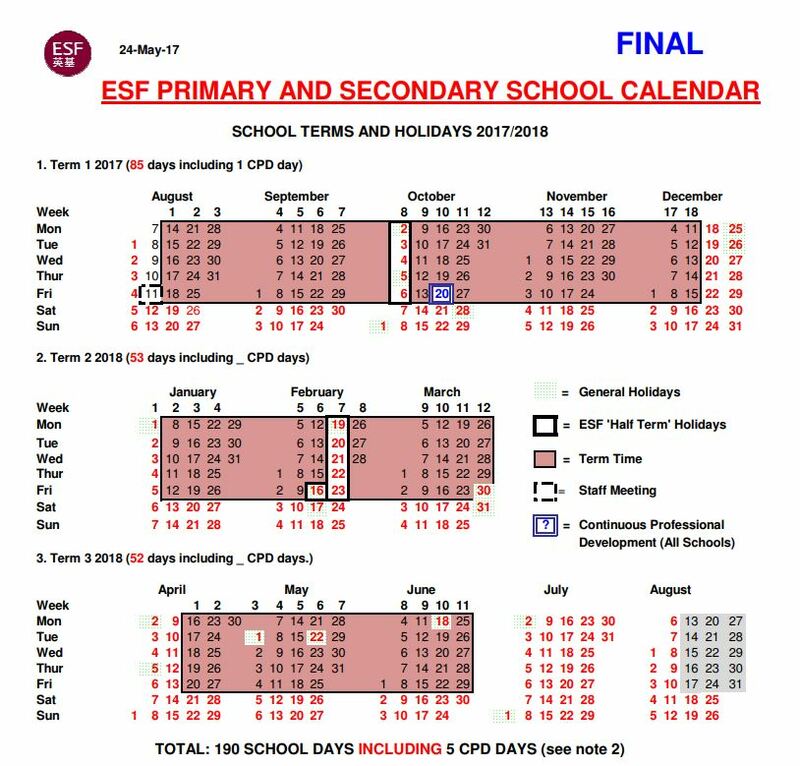 A Term 1 ESF CPD day date has been set for all schools. Additionally, all schools will need to identify 4 further CPD days. Start date for 2018/2019 shown for indication only. We recommend individuals and familites avoid making travel plans for August 2018 until the school start date and back to school work date are confirmed.